Put the butter and the sugar in a small pan and stir until they melt together. Pour the cognac and the wine and add the berries. Cook for 10 minutes. 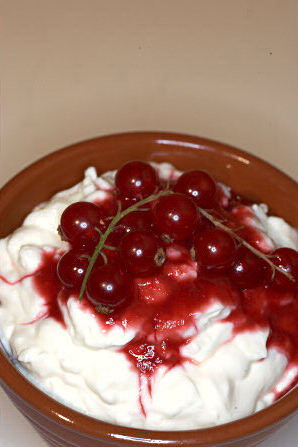 Serve the galotyri in a deep serving dish garnished with the berries on top.